Cosmetic, or, Facial Revitalisation Acupuncture is a painless, non-surgical method of reducing the signs of the aging process, it is sometimes referred as an Acupuncture Facelift, however, it is more than a cosmetic procedure. It is a rejuvenation and revitalization process designed to help the whole body look and feel younger. The Facial Revitalisation Acupuncture treatment is based on the principles of Oriental Medicine and involves the insertion of hair-thin needles into particular areas of the face, ears, neck, hands, trunk, and legs along energy. Specific points are chosen to manipulate the movement of energy in the body according to the individual’s needs. Thousands of years ago the Chinese discovered that many meridians either begin or end on the face while some have internal branches that go to the face. Thus, practitioners of Facial Revitalisation Acupuncture know how to specifically affect the face while simultaneously treating the underlying factors that contribute to the aging process. Facial Revitalisation Acupuncture may erase as many as five to fifteen years from the face, with results apparent after just a few treatments. Fine lines may be entirely eliminated and deeper wrinkles diminished. Bags under the eyes can be reduced, jowls firmed, puffiness eliminated, droopy eyelids lifted and double chins minimized. Other likely results include: moisturizing of the skin with increased local circulation of blood and lymph to the face; increased collagen production, muscle tone, and dermal contraction; tightening of the pores; brightening of the eyes; improving of hormonal balance to help acne; reduction of stress evident in the face – bringing out the innate Beauty and Radiance of an individual. Facial Revitalisation Acupuncture is for anyone concerned with looking and feeling young and slowing down the aging process. The decision to begin treatment may be professionally or personally inspired or a combination of both. Facial Revitalisation Acupuncture is suitable for those with deep wrinkles, fine lines, bags under the eyes, sagging, puffiness, drooping eyelids, double chin, large pores, dry skin or acne. Different methods are emphasised and specific points stimulated according to how an individual is aging. A person with excess puffiness, for example, would require a different treatment than someone with dry skin. The whole person is treated and evaluated on the body-mind continuum–the foundation of Holistic Medicine. Generally, it consists of 12 treatments. Each person responds differently, depending on his or her condition and lifestyle prior to treatment. Following the initial course of treatment, maintenance sessions can prolong the results for five to ten years. Many sources indicate that acupuncture has been used for almost 5,000 years to treat a wide range of conditions. Having proven itself with literally billions of people, Acupuncture has survived the test of time. The use of Acupuncture in Cosmetology-especially in preventing and reducing wrinkles-has already attracted great attention in Japan, Hong Kong, and Sweden. 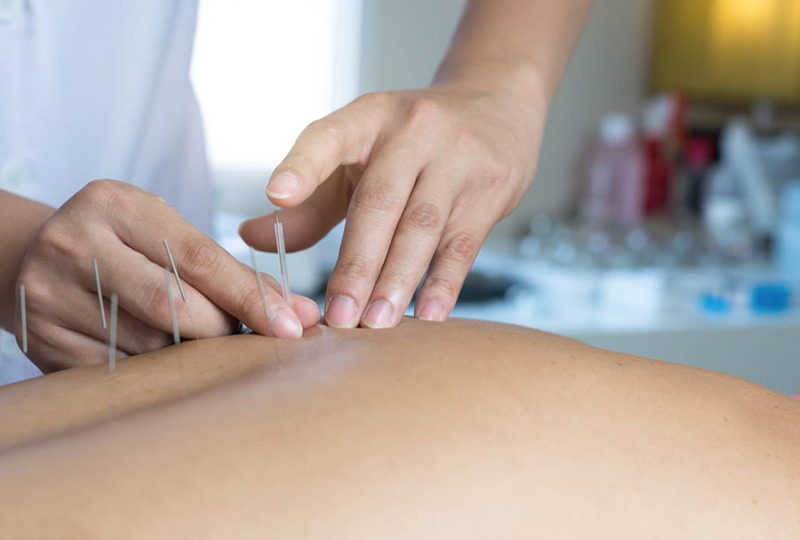 The effectiveness of Acupuncture is due to its direct manipulation of the body’s energy system-balancing, removing blockages or adding energy when necessary. 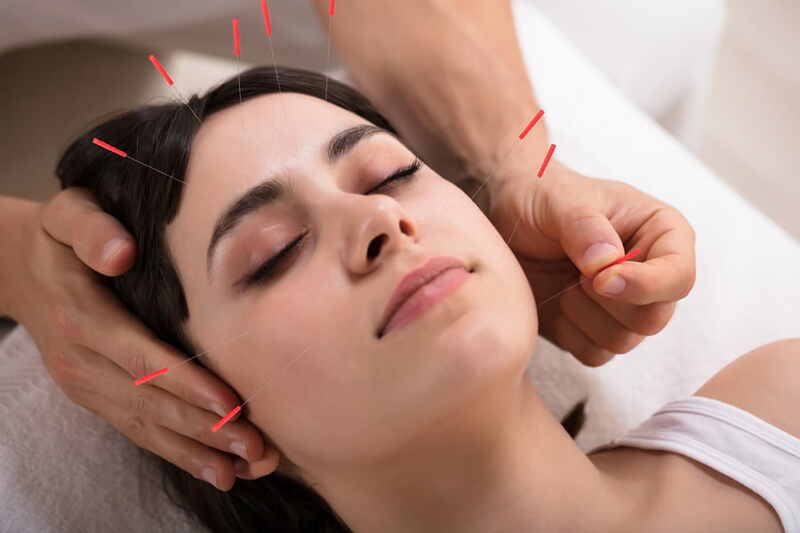 A 1996 report in the International Journal of Clinical Acupuncture reported that among 300 cases treated with Facial Acupuncture, 90% had marked effects with one course of treatment. The effects included: the skin becoming delicate and fair, improvement of the elasticity of facial muscles and levelling of wrinkles, a ruddier complexion, and overall rejuvenation-not confined to the face. For thousands of years, the Chinese have known that beauty comes from within. At least as early as the Sung Dynasty (960AD-1270AD) Acupuncture rejuvenation practices were employed for the Empress and the Emperor’s concubines. The Chinese discovered and utilized ways to change the energy flow within the body to initiate the healing process for rejuvenation. Even for those unfamiliar with the principles of Chinese Medicine, it is known that increased circulation helps the body to look and feel better. Common sense would tell us that treating the underlying cause of why someone is aging is preferable to masking the outward symptoms and allowing further decline and dysfunction to continue within the body. Whilst not a replacement for surgery, Facial Revitalisation Acupuncture is an excellent alternative. It is far less costly than cosmetic surgery and is safe, virtually painless, has no side effects or risk of disfigurement. Unlike surgery that may have an extended recovery period with swelling and discoloration, there is no trauma from Facial Revitalisation Acupuncture. While acupuncture cannot reshape one’s nose or chin, it is a more subtle rejuvenation that takes years off one’s face-safely and naturally while improving overall health. Facial Revitalisation Acupuncture is contraindicated for some pituitary disorders, heart disorders, diabetes mellitus, high blood pressure, individuals who have a pacemaker or who have a problem with bleeding or bruising, former cosmetic surgery or within 6 months of a course of Botox). Facial Revitalisation Acupuncture should not be done during pregnancy, during a bout with a cold or flu, during an allergic attack or during an acute herpes outbreak.